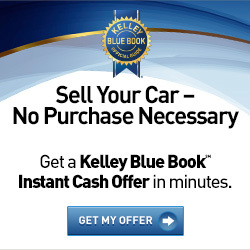 "WE OFFER A SAFE AND CONVENIENT WAY TO SELL YOUR VEHICLE"
Are you looking to sell your car fast and for top dollar? It's simple! Just bring your car to RC Hill Mitsubishi where you'll always get a great deal. The process is Fast, Simple and Stress Free. When you sell your car to RC Hill, you'll save the time and hassle of making your contact information public, placing ads, taking test drives with strangers, detailing your car. Best of all, our cash offer eliminates any worry about fraud. You will get fast honest cash for your car! We will buy a car in nearly any condition. It's safe to sell your car for cash to RC Hill Mitsubishi. We are a Franchised Dealer fully licensed, bonded and insured for your safety and peace of mind. The Following are important items to bring with you to complete the sale. Your Car's Title or Pay-Off Information. person can not make it, please call us. We are Florida's Largest Authorized Buying Center. EXAMPLES OF RECENT VEHICLES PURCHASED. We are "your Dealer Next Door". So when you ask, who buys cars, trucks or motorcycles? or what dealer buys and pays the most for cars? RC Hill does. We are the safest and most convenient way for you to get top dollar in a private transaction with on the spot payment. * I did not feel comfortable listing my car on Craigslist or the other sites. Quite frankly, I did not want people i didn't know coming to my home. RC Hill had me a check in less than 30 minutes". Scott G.
RC Hill Mitsubishi Buy Center buys cars in DeLand, Deltona, Debary, Lake Helen, Daytona, Ormond, Sanford, Leesburg, Ocala, Lake Mary, Longwood, Winter Park, Mount Dora, Orlando. We cover Volusia County, Orange County, Seminole County, Lake County, Marion County, Osceola County, Brevard County.